The kiosk mode is a useful feature for interactive touch screen displays installed in public areas. When active OnSign TV will be the only application running. The user cannot leave the OnSign app and tamper with the terminal in any unintended way. It is available for OnSign TV versions 6 and up. For Samsung devices, OnSign TV offers a different kiosk mode setup with several advantages over the method described in this tutorial. Click here. 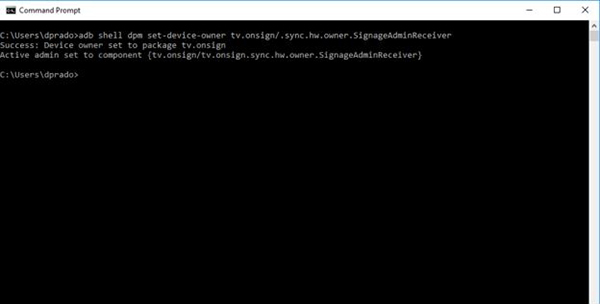 Your device set to run OnSign TV as Device Owner App. Please note, once OnSign TV is the Device Owner, it cannot be removed. The only way to remove a Device Owner application is a factory reset erasing all data. A factory reset returns the device to an empty default state. 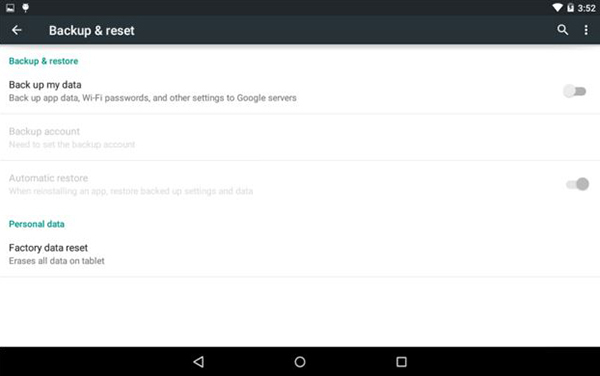 In "Android Settings", click on the "Backup & Reset" option. Select "Factory data reset" and wait for the process to finish. Your device will reboot when ready. 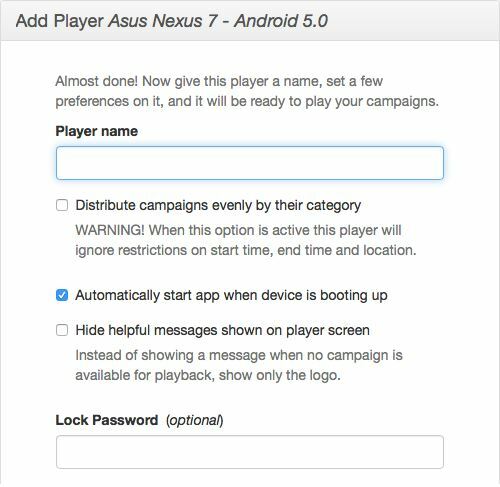 Once the device reboots, you will need to re-enable Developer Mode as described in the ADB tutorial. 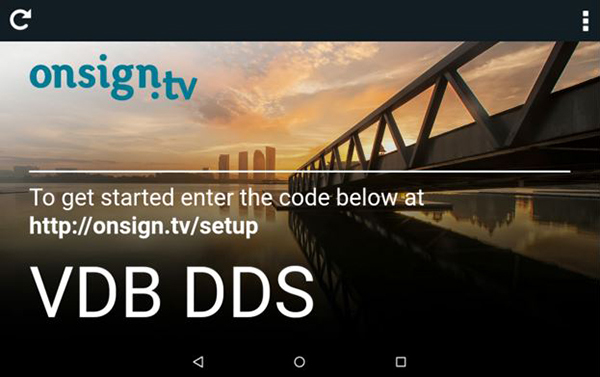 When the Developer Mode is enabled, it is time to use the adb to install OnSign TV and activate it as a Device Owner. Download the latest OnSign TV version from the website. *OnSignTV-NNN.apk is the name of the file you downloaded. From this point on, OnSign TV is active as the Device Owner and cannot be removed. During association, you will be presented with an optional extra password field (lock password). 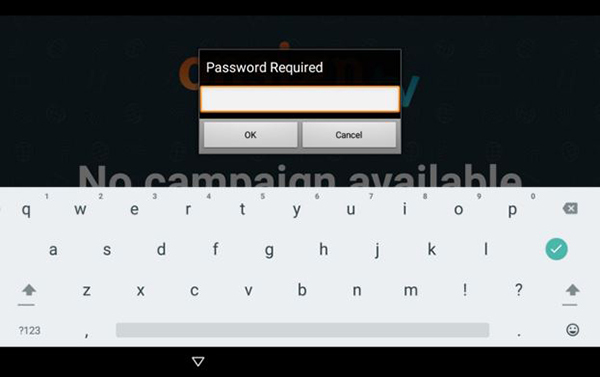 Enter a password to exit OnSign TV kiosk application on your device. 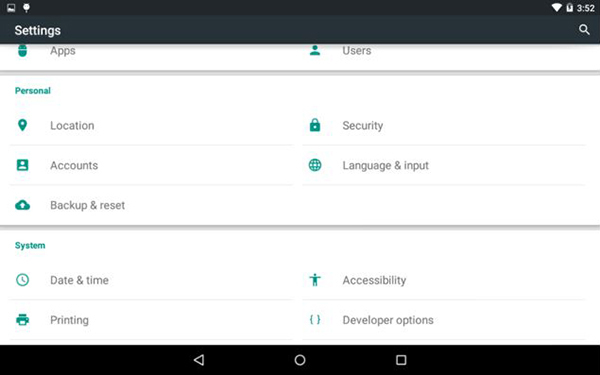 It is not compulsory and you might be able to exit the application even without password. On your device app, click on the bottom-left corner 7 times to exit. If you chose to add a password on the player setup, a input box will request it. If you did not set a password, OnSign TV will exit at once.